The rest could come from making residents pay an annual charge for emptying green bins. This is a badly timed move. The government’s new Resources and Waste Strategy is proposing a ban on council charges for collecting green waste. In any event, households should not be charged for recycling. That’s what we pay council tax for and it is a national priority. The government is also saying that councils must take food waste seriously. It wants weekly food waste collections which are biodigested. 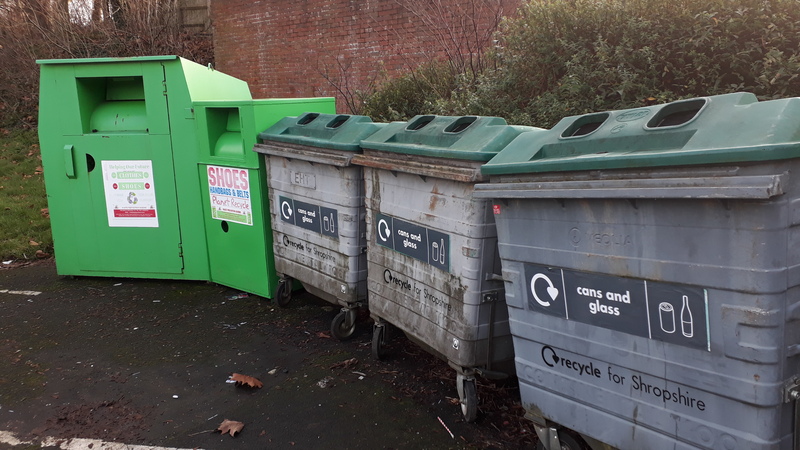 It doesn’t want councils to continue composting in open bins as we do in Shropshire. That emits as much methane as landfill but it allows green waste to count towards the headline recycling rate. Unlike incineration, the open biodigestion creates compost, a real benefit. But that benefit does not counter the emission of methane gas which could be used for fuel. The charges for green waste and withdrawal of bring banks are bound to increase the amount of fly-tipping and waste being sent to the incinerator at Battlefield. The council won’t pay much more for clearing up fly-tipping because most of it happens on private land. It’s the landowner or tenant that will have to pay. Incineration emits more CO2 than gas powered power stations. Good planning is fundamental to the wellbeing of our county but Shropshire Council’s leaders don’t seem to understand this. Footpaths won’t be maintained as well to the tune of a £50,000 saving. Well maintained rights of way are vital to our visitor economy. This article concludes my short series on Shropshire Council’s planned cuts, though I am certain I will be writing more on this subject shortly. When will a Tory councillor stand up and say these cuts are wrong and I resign, there is no resistance from the Tories towards these cuts and yet they find money to rebuild county hall, The councellors should be camping out out side parliament and harranging the PM. Instead the deputy leader of the council makes stupid remarks about vegans!! !